Atlas Robot, Parkour Athlete from Boston Dynamics. Four-legged robot designed for indoor and outdoor operations. Electric powered and hydraulically actuated. Boston Dynamics showing off one of its latest robots. Atlas, next generation, designed to operate outdoors and inside buildings. Specialized for mobile manipulation, electrically powered and hydraulically actuated. It uses sensors in its body and legs to balance and LIDAR and stereo sensors in its head to avoid obstacles, assess the terrain, help with navigation and manipulate objects. This mobile device captures unwanted drones with a net projectile, and drops it back to earth without damage. A safe way to manage our crowded skies. Apple Sport Watch teardown by the iFixit team. iFixit started by prying open the display and disconnecting the display and digitizer cables underneath, getting a first look at the Taptic Engine, inside of the Digital Crown and internal 205 mAh battery. Digging further into the Apple Watch, the team got a closer look at various components for haptic feedback, an ambient light sensor and S1 integrated processor. The Pro Tech Screwdriver Kit will cover all your screw driver needs. (Unless you need those super tiny tri-wing bits seen in the Apple Watch. Definitely a future of possibilities along with our willingness to navigate uncharted territories if we choose to accept unpredictable consequences. Cymatics is a science of creating visualizations with audio frequencies. Here, Nigel Stanford experiments with tones and frequencies to achieve desired patterns through material worlds. With a range of musical abilities he plays a drum set, and keyboard while also rigging makeshift instruments from playing cards. 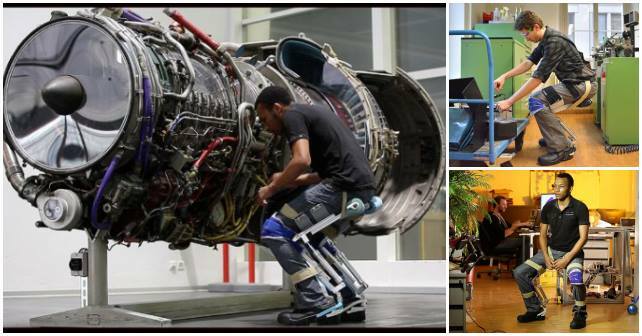 These exoskeletons are state of the art wearable leg assitive devices. Wearable mechatronic technology based on research from the Bio-Inspired Robotics laboratory at ETH Zurich. Elegance and simplicity destined for endless applications. Experimental face-mapping technology synching on during real-time movements and accurately projecting various surface textures onto the model’s face.